Accessorize your event promotions with the Blue Jeans Postcard. 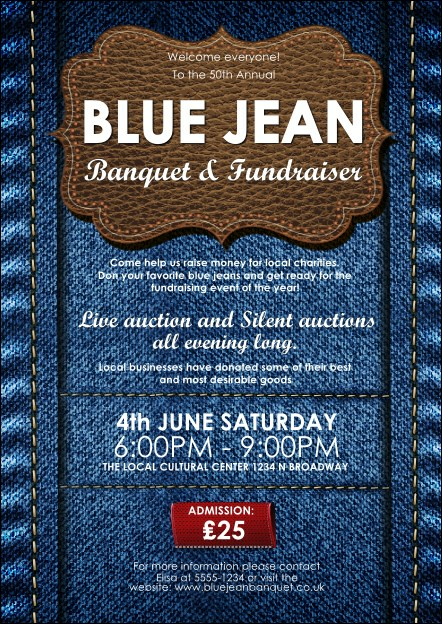 These stylish templates feature a textured tan leather patch to advertise your gathering, with an indigo denim background. Send or distribute to potential guests or leave with supporting retailers to reach new customers!